Here you will find our education resources to help raise awareness of the Srebrenica genocide and to promote lessons to be learned for future generations. 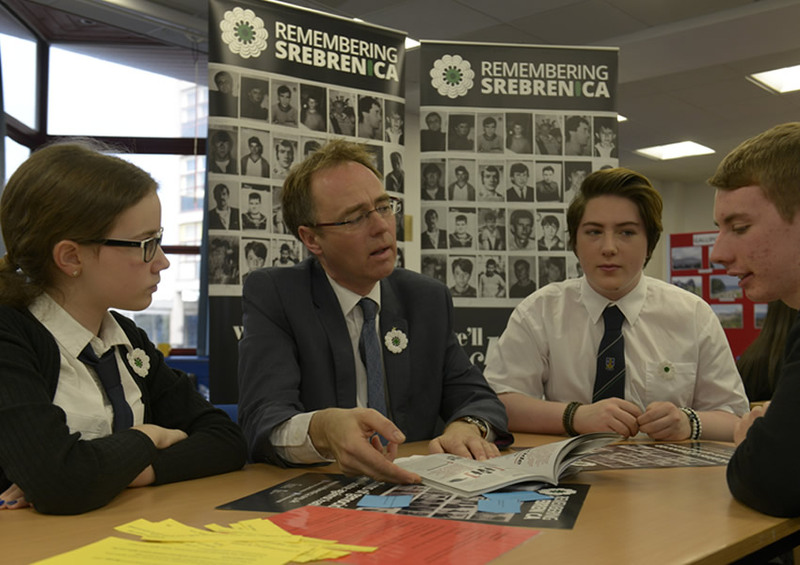 Our resources include a comprehensive set of lesson plans to be used across Personal, Social, Health, and Economic (PSHE) education developed jointly between Remembering Srebrenica and the leading experts at the PSHE Association. There are lesson plans and activities to be used across the Scottish Curriculum for Excellence. Teachers in Scotland can use these, for example, within Social Studies, Religious and Moral Education, Health and Wellbeing and Personal and Social education. How are we different, how are we the same? Contains age-appropriate workshops for KS1, Lower KS2 and upper KS2. These workshops focus on the lessons that can be learnt from Srebrenica – the importance and value of diversity within our community. Assembly plan and PowerPoint presentation ideal for Memorial week 2016 – Assembly features the story of Alia the Ant, and promotes discussion on similarities and differences within our community. Link available to online evaluation form. Thank you for requesting this educational resource. Your use of this supports Remembering Srebrenica in our work to raise awareness of the genocide in the UK and contribute to strengthening British society by helping to tackle hatred, racism and intolerance wherever it occurs. Please use the links below to access the resource you have requested to download the materials.